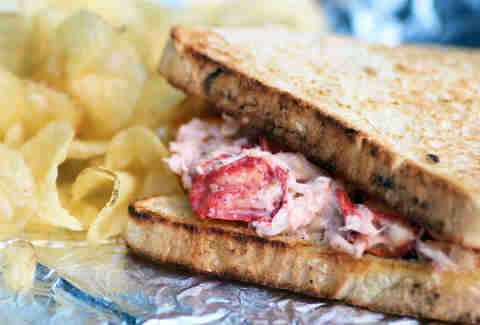 Like chowder, lobster rolls are the culinary pride of New England. And rightfully so, because they’re delicious. Seriously, what’s better on a summer day than sipping a cold one and chowing down on a bun piled high with lobster salad? Answer: seriously nothing. Stop looking for other answers. 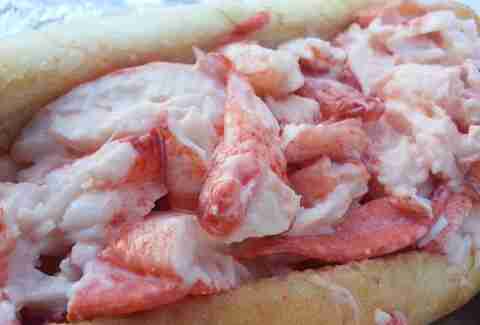 But what makes a great lobster roll? And, more importantly, where can you find the best of the best? With so many worthy candidates in the Northeast, we enlisted a distinguished panel of experts to help us out. Local chefs, restaurateurs, and food bloggers nominated their top 10 for our lobster roll pantheon, and we assigned points to their picks (10 for first, nine for second, and so on). Our “crustacean congress” voted, and here are the tasty results. Part of a three-­way tie for #7, Woodman’s lobster roll combines generous portions of meat with the perfect amount of mayo. 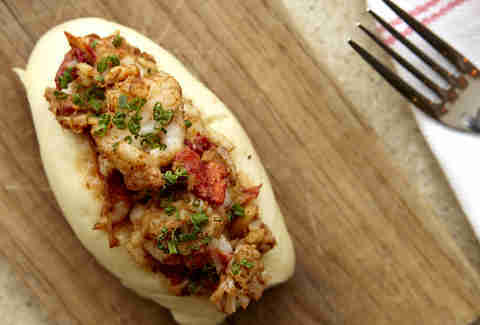 It’s all about balance, like how the hefty pile of lobster is carefully balanced on that buttery toasted hot dog bun. 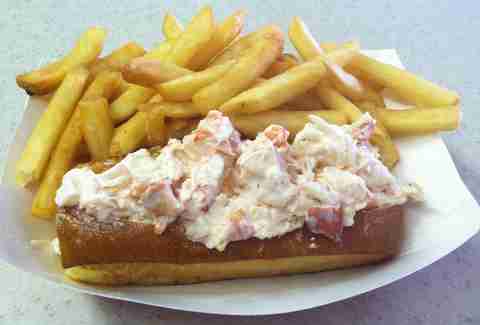 It’s served with chips and, if you grew up in New England, a dash of nostalgia. As Chef Jeremy Sewall notes, “It really completes any summer day.” True that. 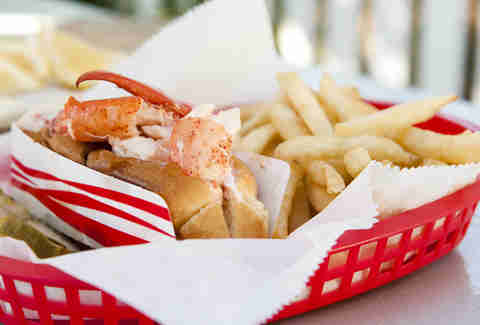 Robert’s Maine Grill's lobster rolls are a one-­two punch to the taste buds: either hot buttered or with mayo. Yes, please. 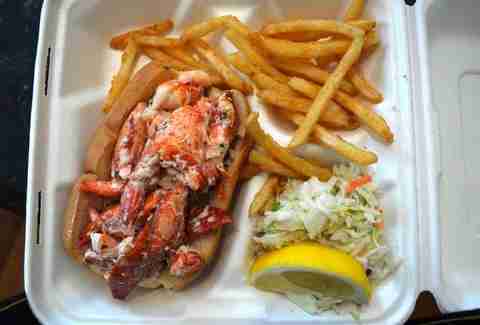 The buttered version is pure decadence with tail, knuckle, and claw meat weighing down the giant toasted bun. The mayo option gets a boost from their signature secret seasoning and lemon juice. According to Chef Brian Poe, “(Robert's Maine Grill) is the perfect place to snuggle up to a Maine beer and a lobster roll while the family insists on invading the outlet stores. You shop, I’ll eat.” Good plan. Eventide dresses its lobster three ways, but it’s the brown butter vinaigrette version that has fans lining up to chow down. This buttery, non-­traditional approach includes a little sea salt, some fresh-squeezed lemon juice, and a steamed house-made bao bun for a one­-of-­a-­kind flavor combo. (For the record, the other two styles are house mayo and hollandaise.) 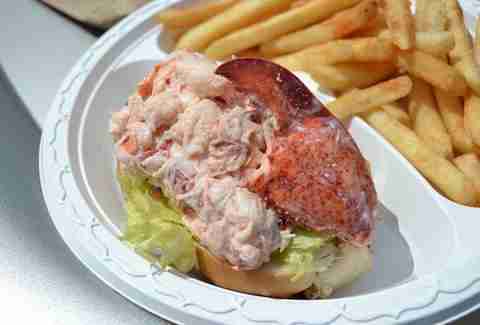 Restaurateur Brian Piccini says, “This is a lobster roll unlike any other and is perfectly sized. The brown butter makes it so unique and different.” Industry vet Tyler Titherington adds, “I could easily eat 10 of them in one sitting.” So there’s that. 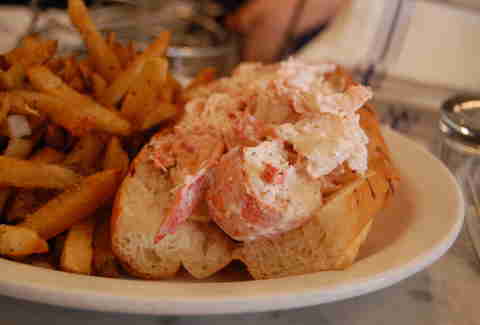 It should come as no surprise that Bob’s lobster roll scored high on our experts’ lists. You know, because it’s awesome. And it’s been around for 60 years! 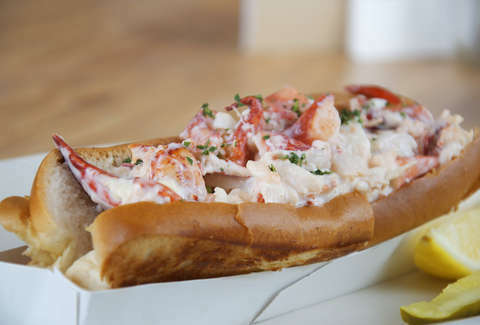 Bob’s roll can be ordered hot (with butter) or cold (with mayo) on grilled bread, but according to restaurateur Garrett Harker, “no matter which way you prefer, you’re sure to taste the sweet/salty brine of the Atlantic in every bite.” Like all great lobster rolls, Bob’s minimizes the mayo to maximize the lobster goodness. Honorable Mentions: Red’s Eats (Wiscasset, ME), The Lobster Pool (Rockport, MA), The Canteen (Provincetown, MA), and Footbridge Lobster (Ogunquit, ME). Anthony Caturano, Prezza: Revere native Anthony Caturano is chef/owner of the North End’s Prezza, known for its elevated Italian comfort food. When he’s not in the kitchen, you can find Chef Caturano hunting and fishing in the wilds of North America. Fiona Coxe, A Boston Food Diary: Fiona Coxe writes the popular blog and is a wine ambassador for City Wine Tours. She also holds a Level 3 Wine & Spirit Education Trust (WSET) certification. Garrett Harker, Eastern Standard, etc. : A life-­long seafood lover from coastal Maryland, Garrett owns Kenmore Square favorites Eastern Standard, Island Creek Oyster Bar, and The Hawthorne. Dante de Magistris, Restaurant dante, etc. : Dante de Magistris is executive chef and co-owner (with his brothers) of Restaurant dante, il Casale Belmont, and il Casale Lexington, three outposts of fine Italian cuisine fueled by family recipes. Brian Piccini, Boston Urban Hospitality: Along with business partner Chef Chris Coombs, Brian co­-owns Boston Urban Hospitality, the restaurant group behind the esteemed Boston Chops, Deuxave, and dbar. Brian Poe, Poe’s Kitchen, etc. : Brian Poe keeps himself busy as chef for Poe’s Kitchen at The Rattlesnake, Estelle’s, The Tip Tap Room, and the newly rejuvenated Bukowski Tavern in Inman Square. Jeremy Sewall, Lineage, etc. : After many childhood summers spent in Maine, Chef/author Jeremy Sewall celebrates New England fare in his restaurants, including Lineage, ICOB, and Row 34. Jeremy and his colleagues will soon launch Row 34 in Portsmouth, NH. Beau Sturm, Trina’s Starlite Lounge, etc. 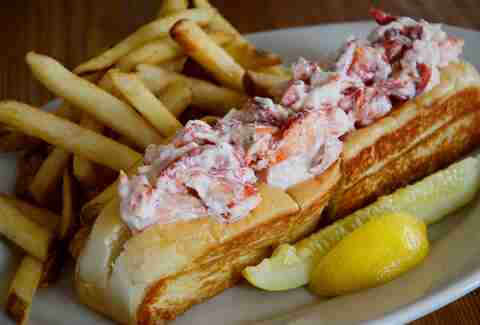 : Revere Beach resident and self­-proclaimed lobster roll junkie Beau Sturm co­-owns Trina’s Starlite Lounge, Parlor Sports, and Audubon Boston with Josh Childs and Jay Bellao. Tyler Titherington, Grafton Group: Mainer Tyler Titherington is director of operations for Grafton Group, the team running Cambridge strongholds Grafton Street, Park, Russell House Tavern, and Temple Bar. Dan Whalen, The Food in My Beard: Born and raised in Springfield, MA, Dan writes the fanatically followed recipe blog The Food in My Beard and is the author of Stuffed: The Ultimate Comfort Food Cookbook. He has been featured in two Thrillist articles... one about mac & cheese-topped French onion soup, the other about cinnamon roll stuffing.